22. 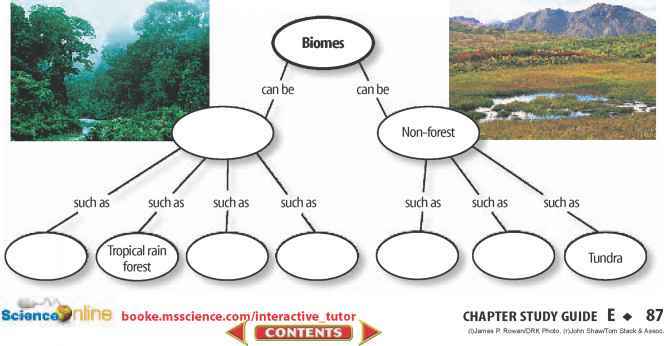 Biome Precipitation How many times more precipitation does the tropical rain forest biome receive than the taiga or desert? Use the graph below to answer question 23. 23. 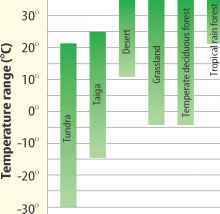 Biome Temperatures According to the graph, which biome has the greatest and which biome has the least variation in temperature throughout the year? Estimate the difference between the two.